Continuing a monthly streak of surprises, after gapping down -0.66% immediately after Gary Cohn’s resignation as economic advisor of the current US administration, the S&P recovered, increasing 3.25% weekly. In particular all the major indexes rallied (Dow +1,77%, S&P +1,74%, Nasdaq +1,93%) on Friday as non-farm payrolls were 313k (vs 210k expected) and wage growth was 0,1% over the previous month, lower than the 0.2% expected, cooling down inflation fears. Nasdaq passed above its previous all-time high settling a new record at 7.101,18. The best performing sector over the week was technology (+4,7%), while the worst was utilities (+1,2%). Finally, the VIX fell by -25,17% over the week, closing at 14,64 on Friday, indicating lower expected volatility. 10Y yields on treasury bonds remained fairly stable: while those increased 3 bpt on Friday due to the jobs report, weekly they are down 1 bpt at 2,896%. The dollar index remained fairly stable at 90,11 as the USD/CAD weekly decrease of -0,54% was offset by a weekly increase of 1% of USD/JPY. As Trump continues spiking up risks of a trade war, fear of retaliation from China trough tariffs on US agriculture has continued the plunge of soybean futures (-3,2%) and wheat futures (-1,95%) over the week. Uncertainty permeates surrounding what countries the US government wants to exclude from tariffs, besides those in NAFTA and Australia, as well as what other goods will have an import tax: in particular on twitter Trump seems to be suggesting tariffs on cars. Last week has been characterized by a relevant number of political events. First of all, on Sunday Chancellor Merkel secured her fourth term in power after Social Democrats’ vote for ‘grand coalition’ with conservatives. The SPD announcement ends almost six months of uncertainty in German politics and puts Europe’s largest economy in a position to finally answer the challenges for EU reform proposed by France’s President, Emmanuel Macron. At the same time, political elections held in Italy over the last weekend saw a hands down victory for populist parties, with 5 Star Movement (32.68% on national basis) gathering massive consensus in the southern part of the country where long term unemployed people may have been strongly influenced by the basic income proposal of the comedian-governed party and the right coalition winning hands down in the northern and central part of the country. It has to be noted, however, that the biggest surprise among winners is probably Lega’s (17.37% – formerly, Lega Nord) overtaking against Berlusconi’s party, Forza Italia (14.01%). Partito Democratico got a delusional 18.72%, with Mr. Renzi announcing that his willing to step down as party’s secretary. No party is actually in the position of running the country by itself, with the center-right coalition, the one with most seats in the parliament, missing the minimum number of MPs to run a majority government (316) by 53 seats at the lower house (Camera). 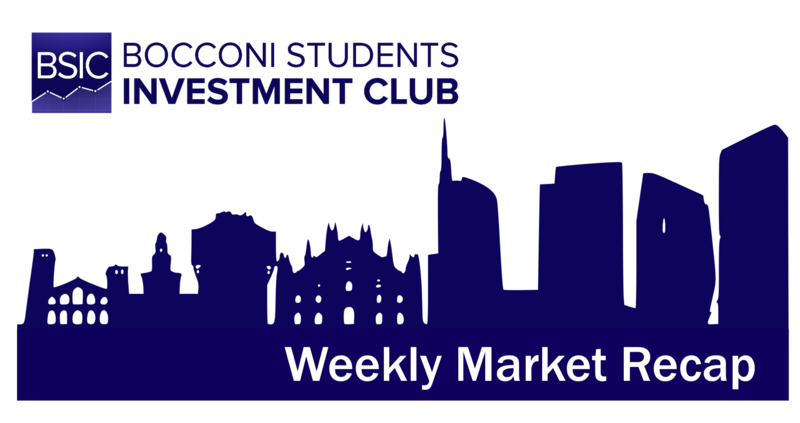 Italian financial markets did not overreact on Monday – the overall FTSE MIB index closed the first trading day of the week down just 0.42% – but Italian banks suffered the most, given their role as BTP proxies (FTSE MIB Banks was down 2.62% on Monday while yield on 10Y BTP rose to 2% with a BTP-Bund spread equal to 138 basis points). Other European financial markets started the week in positive territory following good news from Germany. ECB board meeting of Thursday left any major rate unchanged while the European Central Bank dropped a long-standing pledge to increase bonds buys if needed, taking another small step in weaning the euro zone economy off protracted stimulus. President Draghi highlighted that incoming data are confirming a strong and broad-based growth momentum in the euro area economy, adding that upside risks come from within the EU borders while downside risks come from outside. This explicit reference is not only due to new US tariffs-policy but also to the financial regulation that is taking place overseas: “the risks surrounding the euro area growth outlook are assessed as broadly balanced. On the one hand, the prevailing positive cyclical momentum could lead to stronger growth in the near term. On the other hand, downside risks continue to relate primarily to global factors, including rising protectionism and developments in foreign exchange and other financial markets”. In the fixed income space, German 10Y Bund remained constant round 0.65%, yielding 0.647%, French 10Y Treasury Bonds Yield decrease a bit to 0.877% from last week 0.92% while Italian equivalent is trading at 1.992%, again below 2%, level that was crossed in the immediate aftermath of Italian political elections. EURUSD stay almost unchanged with 1 Euro equal to 1.2308 USD while EUR appreciated vis a vis CHF to 1.1713, up from week-beginning value of 1.1713. Next week most important data to be released are the Swiss 3M Target Libor on Thursday and European Industrial Production both YoY (expected: +4.7%) and MoM (expected: -0.4%) on Wednesday. While Britain has circulated a draft agreement on procurement at WTO, that is, one of three documents that has to be finalize before it leaves the EU, at the end of Friday and rumors about Goldman Sachs renegotiating contracts with derivatives and DCM employees moving to Frankfurt, British financial markets experienced an overall positive week. On Monday February Services PMI data was released, coming in stronger than expected at 54.5, up from 53 in January and outstripping expectations of a 53.3 reading whilst on Friday Manufacturing Production for January data were released, showing a smaller than expected increase of a 0.1% (expectations: 0.2%) on a month-on-month basis. The YoY data showed an increase of 2.7%, again 0.1% less than expectations. As a result on strong data, the FTSE 100 closed on Friday at 7,224.51 up 2.19% from last week’s 7,070, partially compensating for the 2.41% loss of the previous week. The Pound appreciated both against the US dollar to 1.3854 from 1.3794 USD of one week ago (+0.44%) and the Euro by 0.63% closing at 1.1255 from last week’s 1.1185 EUR. The benchmark 10-year gilt yield closed the week lower at 1.49%, up 2 basis point from the previous Friday rate of 1.47%. In a ground-breaking agreement, Australia and Timor-Leste has finally agreed on a consensus on the gas rich field in the Timor Sea. The reserve reportedly has oil and gas worth AUD $50 billion. The two countries now share a border both find palatable for the first time in decades. Australia’s major index, the S&P/ASX 200 is up 0.58% this week, at 5,963.20. North Korea’s Kim Jong Un floated the prospect of nuclear disarmament if his regime is promised stability. Trump is scheduled to meet Kim by May this year, in a location yet to be confirmed. Skepticism abounds, but Trump has welcomed this progress. South Korea’s KOSPI bumped up by 2.38% this week. Rumors abound of a possible purchase by Nissan of the French government’s stake in Renault. Prices have surged since, but both parties were quick to deny any allegations, dismissing it as “speculation”, though an alliance exists. The Nikkei 225 ended at 21,469.20, up 1.36% for the week. Greely, a Chinese carmaker has stealthily acquired a 9.7% stake of Daimler. It has insisted that the decision was made independently of the Chinese government. Daimler’ chairman, Dieter Zetsche has welcomed this move. China has brushed off U.S.’s branding as a “strategic competitor”, claiming that it was fundamentally wrong. In an act to deter the probable imposition of tariffs, China has warned of “justified and necessary” responses. The said threat however, affects not only China, but America’s allies too. China has set its growth target for the year at 6.5% during the National People’s Congress, amid a hostile trade environment with rising tensions. A ¥800 billion tax cut would be the key driver of growth. A further 30 million tons of steel capacity is planned to be axed, as China scales back its steel production. The Hang Seng and Shanghai Composite is up 1.35% and 1.62% respectively. South Africa’s economy grew by 1.3%, boosted by a better than expected performance. The deposition of Jacob Zuma with Cyril Ramaphosa has raised both expectations and animal spirits. The South African Rand has appreciated steadily against the USD ever since, to levels unseen since 2015. South Africa’s main index, the FSTE/JSE top 40 ended at 52,328.80, up 2.96% for the week. It has been a volatile week for the black gold. Oil prices first tumbled as inventories rose, before rallying on a buoyant U.S. jobs report. Brent and WTI ended at $65.61 and $62.14, up 1.74% and 1.29% respectively.